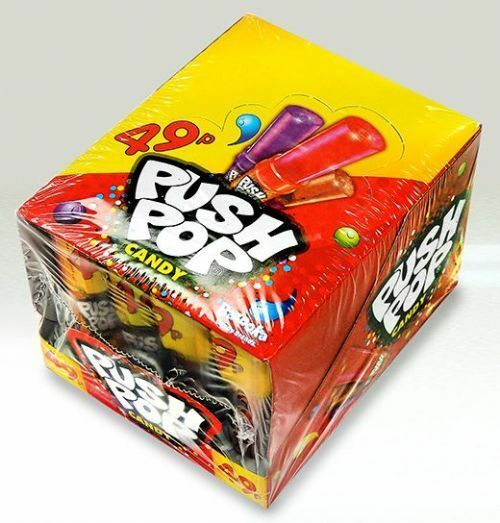 Push pops not Push backs you`ll have everyone chasing you for these. A shop filler the original famous push pop in a variety of flavours. In a small square box beautifully designed to attract the most discening of buuyers. Take a lick push it back in its holster quick draw lickin good lollies.